With September quickly approaching, the Web is abuzz with Apple rumors. The so-called “iPhone 5” (which we think will just be called “new iPhone”) is, if leaks and rumors are to be believed, all but announced. Really — we seem to know nearly everything this side of its name. But there’s another big Apple gadget that could arrive in the next few weeks: The elusive “iPad Mini.” While the launch of a sixth-generation iPhone is essentially guaranteed, the unconfirmed smaller iPad — well, not so much. Let’s take a look at everything we’ve heard so far about this potentially mythical device. The most oft-repeated detail about the iPad Mini is that it will have a screen that measures between 7 inches and 8 inches. 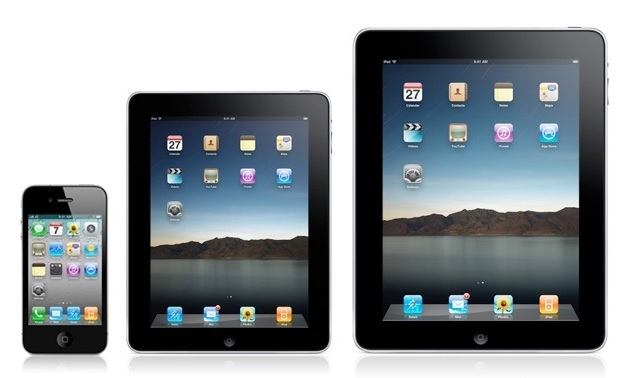 In December of last year, DigiTimes, a source for spotty Apple rumors of all kinds, reported that the iPad Mini will have a 7.85-inch display. (All other iPads have a 9.7-inch screen.) This rumor popped up again in March after an unnamed Samsung “official” told the Korea Times that a 7.85-inch iPad Mini was real and in the works. In May, the same details surfaced, this time from iMore, which is considered a reputable source for unannounced Apple news. According to iMore, the iPad Mini’s display would have the same 2048 × 1536 resolution as the third-generation iPad, which would give it a pixel density of 326 ppi. That’s the same as the Retina display of the iPhone 4S, and higher than the 264 ppi of the new iPad. To add further credence to the 7.85-inch screen size rumors, well-respected Apple journalist John Gruber calculated that a 7.85-inch screen made sense technically, but the resolution would likely clock in at 1024 x 768, not the super-high-res 2048 x 1536 resolution (exactly double Gruber’s estimate) that iMore reported. On July 4, Bloomberg also reported that Apple was building an iPad that “measures 7 inches to 8 inches diagonally.” The Wall Street Journal followed up the next day with its own report, but only said that Apple was gearing up for production of a “smaller” iPad — no size estimates given. Aside from those details, we haven’t heard or seen much. However, last month, Gotta Be Mobile published photos of an “iPad Mini engineering sample.” If legitimate, the sample shows that the iPad Mini will look nearly identical to the third-gen iPad, save for the smaller screen and slightly thinner profile. As far as the iPad Mini’s guts are concerned, we know almost nothing. The aforementioned iMore report says that the device will come loaded with 8GB of internal storage. 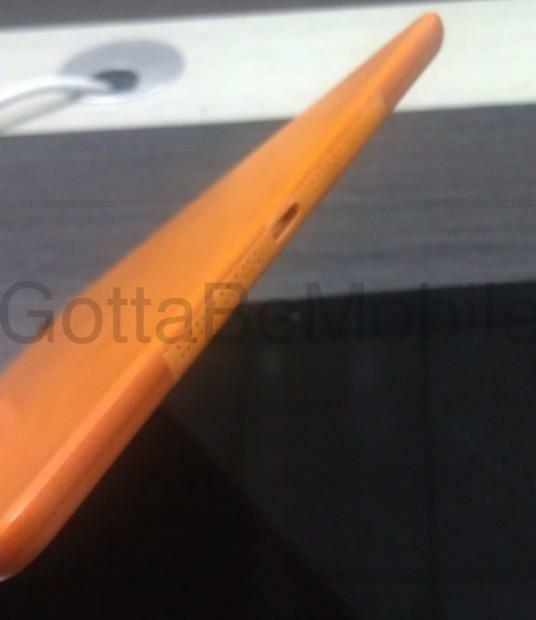 A new report out from Gotta Be Mobile shows that some accessories manufacturers have begun to produce iPad Mini cases that include a slot for a rear-facing camera, as well as a smaller opening at the bottom of the case for the rumored 9-pin dock connector, which most expect to see on the iPhone 5. As we have seen in the past, however, leaked cases reveal absolutely nothing. Just like the rest of us, accessories makers are listening to the rumors, and trying to get a head-start on the competition by designing cases that more or less match the rumored specs floating around the Web. That said, both a camera and the new, smaller dock connector — if it really exists — seem like fairly obvious inclusions for the iPad Mini. 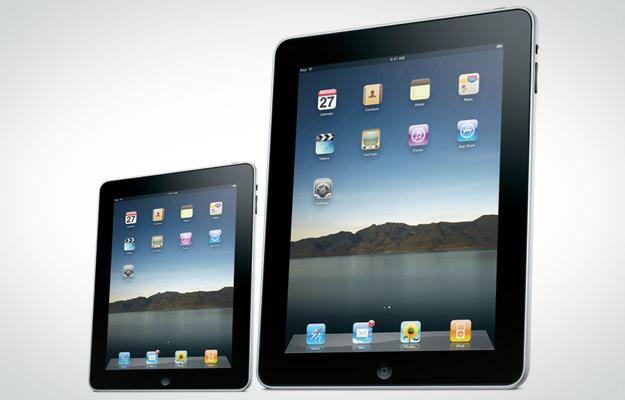 Most estimates mark the iPad Mini’s price at between $200 and $250. The reason of course, would be to challenge its hottest competitors: Amazon’s 7-inch Kindle Fire, and Google’s Nexus 7. That said, a survey out this week from CuponCodes4U.com (who?) shows that 78 percent of American gadget consumers would purchase an iPhone 5 over an iPad Mini. Whether that kind of thinking means anything to Apple, we can’t say. An iMore report from the end of July indicates that Apple will announced both the next iPhone and the iPad Mini on September 12, as will a new iPod nano and an iPod touch 4. The iMore report was followed up with confirmations of the Sept. 12 date by AllThingsD, The Loop, and The Verge. For now, at least, that seems like a good date to pencil in on your calendars — as if people “pencil in” anything anymore. We’ll update this space as more iPad Mini rumors become available. Check out our iPhone 5 rumor roundup here. Apple added a Confirm Subscription prompt for in-app subscriptions. This will help prevent accidental sign-ups for iOS device owners, and will also protect them against apps that try to trick users into confirming in-app subscriptions.